In January 2009, Black Swan Youth Theatre (then a part of Gresham Little Theatre), held auditions for the Shakespeare play, The Tempest. A week later, a newly formed cast met for the first time. Some of the cast member knew each other from the previous year’s production of Peter Pan, but for Blake Dunbar and Erik Scott, it was a first meeting. “I thought Blake smelled of Carl’s Jr. and looked and acted like a blondified Jack Black on steroids,” says Erik. And meanwhile, Blake remembers Erik as always wearing this goofy beanie hat and ‘he was too cool for the spittle on his lip.” Erik and Blake were teamed up as the comedic duo in The Tempest, and as even as young new actors, their stage presence gave them the ability to woo an audience. Since then, they have acted in eight plays together, including the upcoming production, Romeo and Juliet. Blake portrays the attention-loving, best friend of Romeo; Mercutio, while Erik assumes his first serious role as the lover, Romeo. Mercutio rarely has a serious moment as he provides the comedic relief in this tragedy. “Mercutio is constantly aggravated by Romeo’s melancholy nature but still loves him like a brother” says Blake of the relationship with Romeo, “And I (Romeo) just feel personally attacked by Mercutio,” chimes in Erik. Shakespeare’s Romeo and Mercutio act as foils to one another and for Erik, a natural comedic actor, it’s been a growing experience to let Blake take hold of the comedic reins, while learning to play a dramatic lead in a tragedy. While looking back at their years together at Black Swan, a few memories stand out. For Erik, it was on stage during The Princess Bride when he, as Inigo Montoya picked Blake’s (as Humperdink) nose on stage with a sword. “Blake always played the scene perfectly straight and never cracked a smile, so it was fun messing with him,” says Erik. Blake jokingly mentions the couch antics during rehearsals of The Christmas Carol with Erik and Lucas Buchanan. Long-time audience members have witnessed these two actors grow and mature on stage and can only look forward with anticipation to see the roles of Mercutio and Romeo come alive in the capable hands of Blake Dunbar and Erik Scott. Sixteen year old, Black Swan actor, Valerie Warman debuted in her first Black Swan play as Miss Prism in The Importance of Being Earnest. This alone is not amazing, but Valerie managed the role with only one dress rehearsal to memorize and learn the character, making her debut quite a feat. This feat happened after the actor playing Miss Prism was unable to do the play, leaving Valerie to save the show. Thankfully, Valerie never missed a beat or line, and added her talent to the already brilliant cast. Now taking on her third play at Black Swan, Valerie has had several months preparation behind her as she takes on the role of Lady Capulet in Romeo and Juliet. The role of Juliet’s mother has its challenges and so much character for Valerie to discover, as Shakespeare grants actors meaty roles to untangle. “Since starting this play, I’ve learned that my character is so mean! I had read the play a couple of years ago but I didn’t remember how bad to the bone Lady Capulet is. In my mind, she’s the worst kind of mean because she doesn’t get physical with people except on rare occasions, but she uses her words to put people down and she’s not afraid to hurt anyone’s feelings,” says Valerie. This is Valerie’s first Shakespeare play so she felt a bit intimidated at first but now finds it to be a fun challenge. “Once I actually started memorizing the lines I was able to get into the depth of the character and see the beauty of the writing,” she adds. Valerie loves acting “because it allows me to be someone I’m not and to express myself and release some emotions that I would never let lose in real life. I have to imagine a lot with this part and not use my own experiences because I’ve never really wanted someone dead before”. With opening night a little over a month away, Valerie and the cast of Romeo and Juliet are learning the deeper meanings in their lines and how to bring their character alive in a way that makes the audience want to watch. After all, Shakespeare wrote for an audience to see his plays not to read them and so, Black Swan’s Romeo and Juliet is all for our audience, so don’t miss it! Barlow High School junior and Black Swan actor, Lucas Buchanan is currently in the rehearsal process of his sixth play at Black Swan Youth Theatre. He’s performed a variety of roles from the dashing Westley (Princess Bride) to Viola’s smitten twin, Sebastian (Twelfth Night), to the villainous Shan-Yu (Mulan) and the highly moral character of John Worthing (The Importance of Being Earnest). Lucas is thrilled to be taking on the role of Juliet’s controlling father, Capulet in the current production of Romeo and Juliet. Lucas never gave Shakespeare as second thought until he joined Black Swan. “When I was in Twelfth Night, it seemed everyone was already acquainted with the Bard. Although it was fun, it was also difficult to grasp the true meaning of the words”, says Lucas. Since then, he’s studied Shakespeare in school and has given more time to understand the beauty of the language. “Now when I act and memorize lines and study my character, I feel I’ve unlocked so much more depth and it’s been fun to discover,” says Lucas. Lucas looks forward to opening night to unveil his character of Capulet to audiences and in turn, audiences will see why Black Swan continues to perform Shakespeare as they witness how challenging Shakespeare roles create a whole new level of acting for all involved. Black Swan actors are in the midst of memorizing lines as they prepare for the January production of Romeo and Juliet. One such actor is new to Black Swan and acting in his first Shakespeare play. His name is Dalton Flynn. Dalton, a junior at Barlow High School, decided to audition after fellow actor, Erik Scott “ kept badgering me to do so, and I thought it would be fun,” says Dalton. 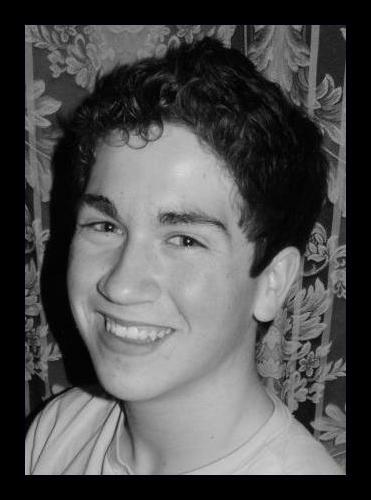 Dalton portrays Romeo’s ever-devoted and rational cousin, Benvolio. “ I think Benvolio is like the kiss up for the play. He doesn’t want fighting and is very mature and sophisticated; and probably likes the smell of fresh basil,” adds Flynn. Besides acting, Dalton thoroughly enjoys sleeping, eating and breathing and the occasional pants wearing, since pants add more to his “style” than shorts or sweats. He similarly gains enjoyment whilst snowboarding, mountain biking and extreme sports like bungee jumping and sky diving. Dalton plans to enlist in the Navy or Air Force to help pay for college but hopes to travel to Italy before hand. His eventual goal is to attend either Western Oregon University of Linfield College to study Anthropology or Sociology. Dalton loves Shakespeare’s genius and how he creates such diverse character in his plays. “ It’s fabulous how he does that,” he interjects. 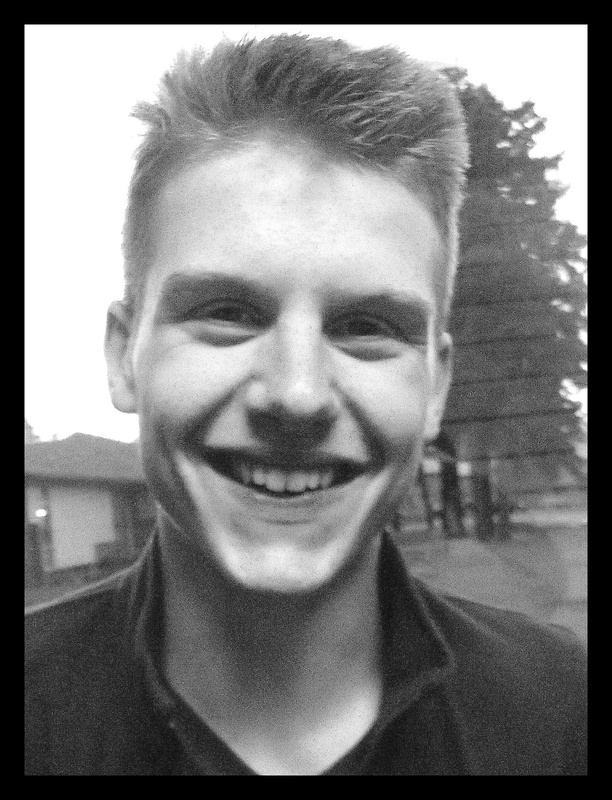 Black Swan is thrilled to have Dalton as part of this talented cast as he adds so much life and energy to every rehearsal. “I love Black Swan and how everyone is so nice and accepting,” he states. So, there are feelings of love all around in a cast that tells the tragic story of “ brawling love and loving hate,” and Dalton’s Benvolio, promises to add some love. 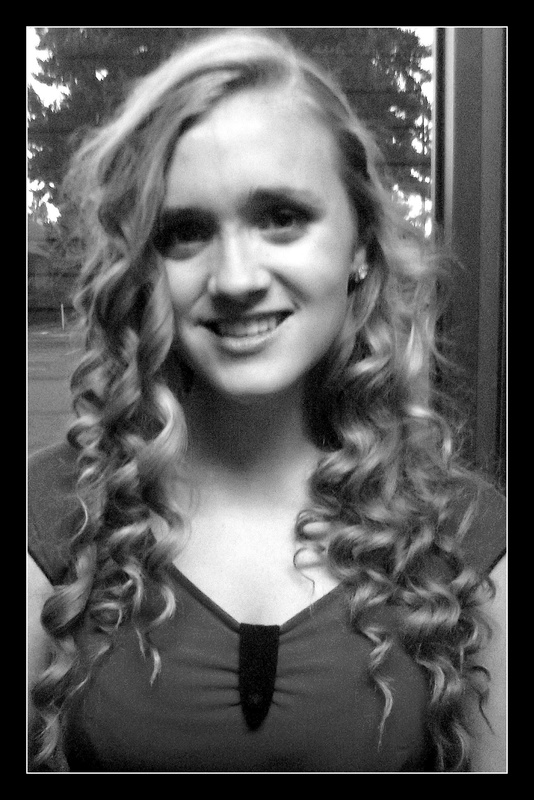 Another new actor to join the cast of Romeo and Juliet is the nearly 16 year old, Rachel Lawrence. After seeing Black Swan’s production of The Importance of Being Earnest last March, Rachel knew she wanted to be apart of Black Swan because she heard “ how interesting the kids were and so it made me want to be apart of the group.” She decided to start gradually by being the house manager in last spring’s production of Mulan. “With Romeo and Juliet, I first thought of staying behind-the-scenes until hearing we needed more girls and that helped me to not talk myself out of it. That aside, it’s fun trying to things with friends and I love how enthused everyone is every time I go to rehearsal,” says Rachel. With just over two month until opening night, Rachel and the rest of the cast are digging deeper into the one Shakespeare play nearly everyone thinks they know; but the joy of Shakespeare is all the many layers his gives his characters for actors to discover. So, by opening night, Rachel will have discovered a multi-layered and very real girl we all know as Juliet.